We are here for you 24 hours a day, 365 days a year. Call us at (615) 502-0011. Our professional staff will immediately begin the process of transferring your loved on into our care. We will meet with you to coordinate the gathering of the information and items needed. We know this is a difficult time and are here to assist you and your family. 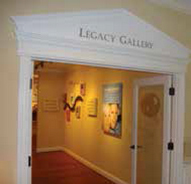 We are the exclusive provider of the Legacy Gallery. At Alexander Funeral Home and Cremation Center, our professional staff specializes in creating meaningful personal tributes to reflect each unique life lived. Offering a wide variety of options and distinctive special touches, our compassionate staff and professional celebrant will help you create a true celebration of life. 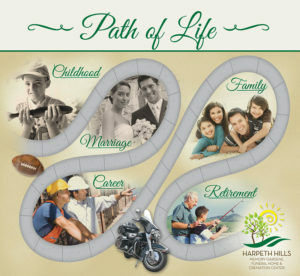 Take a walk back down the path of your loved one’s life with a Life Celebration. A Life Celebration is a time for family and friends to share memories of a life well-lived. It can be a comforting reminder of the impact we have on each other’s lives and how we are truly connected. We encourage you to use this time to help share the story of the life your loved one lived.